Nowhere is this more evident than on the local level when law enforcement acquires new surveillance technology. Too often, the political process advantages police over the public interest. In California, a new bill—S.B. 21—offers the rare opportunity to shift the balance in favor of privacy. Californians: tell your state senator to vote in favor of S.B. 21. Police know that once they acquire a new spy gadget or system, it’s difficult for elected officials to take it away, lest they seem “soft on crime” during the next election. When police do seek approval of privacy-invasive technology law enforcement agencies often provide only the barest amount of information to policymakers and the public about how a system works and how they intend to use it . Sometimes police officials will avoid the approval process altogether by purchasing equipment with asset forfeiture slush funds, by having them purchased for them by outside nonprofits, or by accepting free trials from vendors. In the worst cases, police have abused this technology for their own political goals. In Calexico, for example, the U.S. Department of Justice found that police had quietly acquired $100,000 worth of high tech spy gear—GPS trackers, surreptitious audio and video recording devices, tactical binoculars, and even a special backpack for conducting field surveillance. 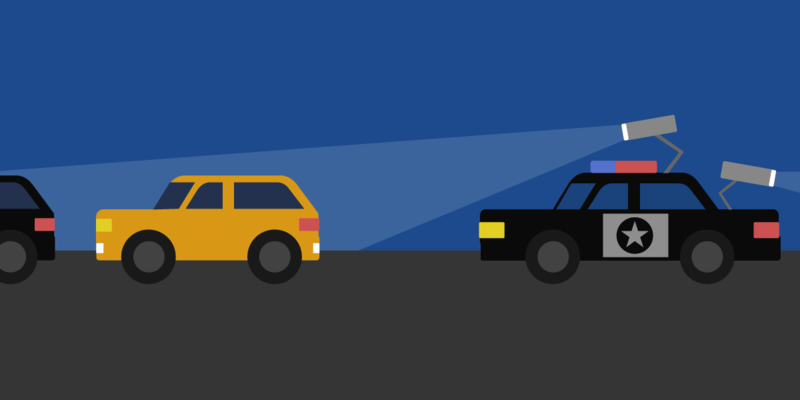 These officers then used this technology to spy on elected officials and members of the public who filed police complaints, allegedly with the motive of extortion. The DOJ also criticized Calexico for approving body cameras, automated license plate readers, and a city-wide video system "before implementing the essential fundamentals of policing." Police should not have unilateral power to decide which privacy invasions are in the public interest. It’s time for Californians to seize back control of these surveillance technologies. Police should not have unilateral power to decide which privacy invasions are in the public interest. All surveillance technologies must go through a public process in which citizens and elected officials have a chance to decide the limits of high-tech policing, including whether to acquire and use new spying tools in the first place. EFF urges the California legislature to pass S.B. 21, a surveillance technology reform bill introduced by State Sen. Jerry Hill. This legislation would require that police departments, before acquiring or using new spying technology, obtain approval in advance to do so from an elected board during a public hearing. When police obtain such approval, they must also get approval of a use policy that includes privacy safeguards. The bill would require a biennial transparency report on surveillance technology in which an agency must disclose information such as the total cost for each surveillance technology, the number of times each technology was used, how effective the technology was, instances in which technology was shared with another agency, and instances in which the technology was used in violation of department policy. The bill would also allow individuals to sue an agency if they’ve been harmed by a violation of the legislation. S.B. 21 follows on the heels of similar legislation passed in Santa Clara County and an ordinance approved by the City of Oakland’s Privacy Advisory Commission. The legislation also strengthens previous laws passed by Sen. Hill, S.B. 34 and S.B. 741, which require government agencies to publish privacy policies for automated license plate readers and cell-site simulators respectively. California should end unconstrained police surveillance. There is a clear way to defend against secret acquisition and arbitrary use of policing technologies that invade the privacy of thousands of innocent people per usage: pass bills like S.B. 21 to ensure the law is on our side. Email your California state senator today to pass S.B. 21.